Take care of your Colon and it will take care of you! “There is no ailment, sickness or disease that will not respond to treatment quicker and more effectively then it will after the administration of a series or Colon Irrigations” Dr. Norman Walker, D.Sc., Ph.D.
Our digestive system holds the root of our health. If those roots are not healthy, then the rest of our body cannot be healthy! 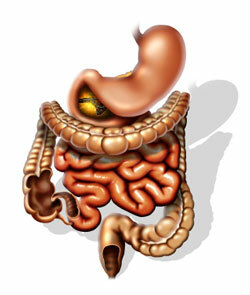 So the treatment of any chronic disease has to start from the gut. * ‘Washing’ the colon removes toxic waste and makes you feel fresh and light! * Eating the right foods is a treatment for any chronic disease. To eat right helps to reduce gas, bloating and balances weight issues. We sell food charts relating to your blood type. * Moving the body on a daily basis is a necessity. Pick an activity that you will love! 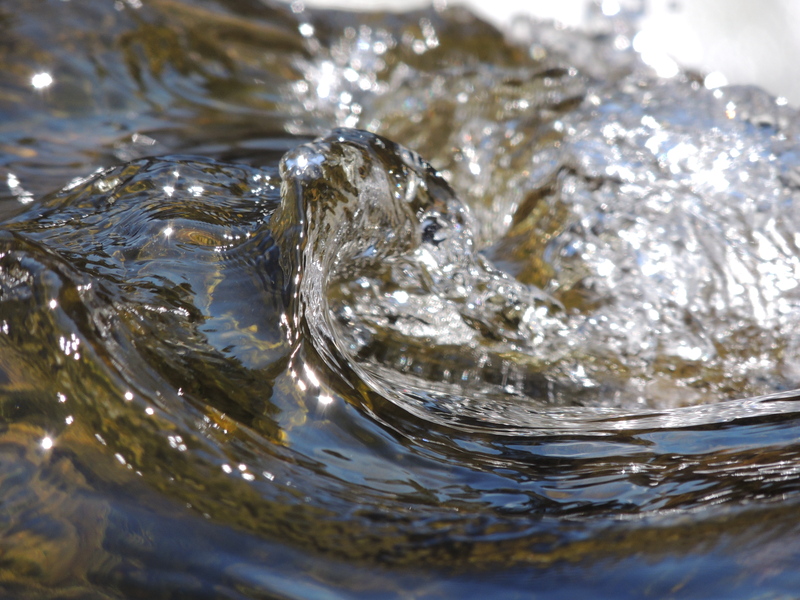 What is a Colon Irrigation or Colon Hydro Therapy? The Aquanet EC-2000 is the latest and so far best and safest machine made in Canada! It will cleanse the entire colon using warm, filtered water without the use of chemicals. This device is a ‘closed system’ which ensures a comfortable, pain free procedure while maintaining the dignity of the client. There is no open evacuation and no offensive odors. This video explains what to expect from a colon hydrotherapy session with an Aquanet colon hydrotherapy device. The Aquanet EC-2000™ is the only professional colon hydrotherapy instrument in the world capable of delivering gentle gravity treatment and more forceful pressure treatment interchangeably during the same treatment using the same device. This crucial technology is unique to Aquanet devices. It monitors and controls the increase of pressure in the colon during the colon hydrotherapy treatment and ensures that a safe upper limit of 2psi of pressure is never exceeded. With APST™, the most comfortable, safe, and effective treatments are possible. Enough pressure can be used to ensure effective treatments even with very constipated patients without risk of exceeding a safe level of pressure. APST is one of the secrets to superior colonoscopy preparation with Aquanet EC-2000. Both old and impacted and new waste material is being softened and removed. Effective cleansing method before a Colonoscopy! effective toxin relief improves overall body functions! With a series of Treatments the colon tones and normalizes. The number of treatments vary. You are unique! During Sessions a recommendation as of how many can be made by the practitioner. A single treatment lasts typically 30-45 minutes. 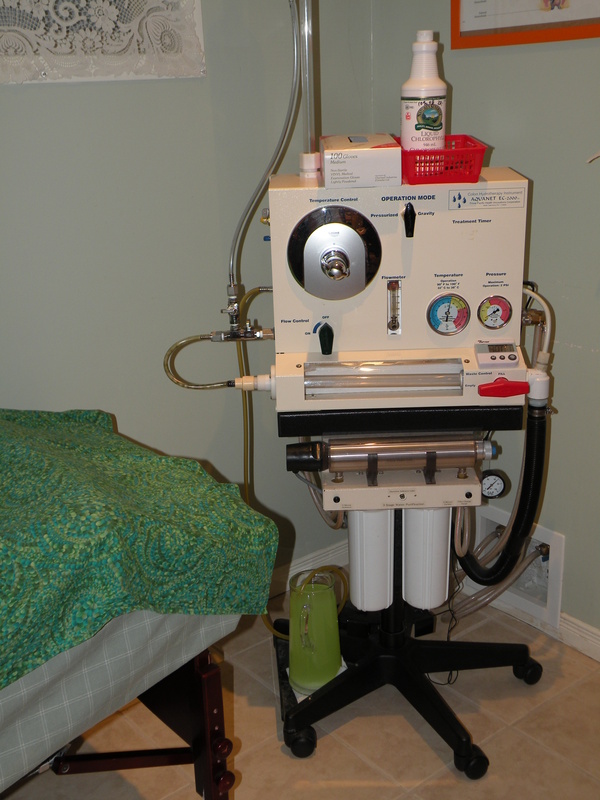 The Chi machine treatment, which takes the first 10 minutes of the one hour session, relaxes you (and the colon) to maximize the removal of waste material in the colon. Treatments are always given in a clean, warm and private room with close access to a bathroom. A fresh gown is given, since you have to undress from the waist down. Additionally, you are lying underneath a clean sheet on a padded table. To refresh after the treatments, wipes are offered. People are frequently surprised how easy, relaxed and comfortable they feel and wish they had “done it” sooner! The reward is a cleaner, lighter feeling, which may include easier breathing and a good nights sleep. The side effects may include weight loss, more energy, less joint pain, beautiful skin, better eyesight, better hearing and loosing other symptoms you may have had for a long time! How can I prepare for my Colonic? Eating lightly 3 days before your appointment is a good idea: More fruits and vegetables than meat is recommended. Drinking 4-8 large glasses of water (depending on age and body weight) a day should be every persons goal, not just before a colonic. Go for walks, move your body daily! More Diet recommendations will be made with your first visit. Can I have a colonic while having a period? If the menses is not to strong, it is safe to have a colonic during this time of the month. Using a tampon is fine.